Last year I attended Eat Write Retreat and had a fabulous time making new connections, learning how to improve my writing and photography, and of course enjoying delicious meals. My plan for the summer was to put this new knowledge to work to improve Good Cook Doris, but a little something else distracted me from putting the plan in action. We had just found out that a new addition was going to be joining the Good Cook Doris family and the summer sped by as we prepared for our new little one. When the Eat Write Retreat 2012 twitter chatter started popping up, it was right around the time that we priced out daycare for the little guy. One fabulous weekend in DC versus a month of daycare made it clear that I would have to start saving my pennies for 2013. When I saw that Lindsay Olives was holding a scholarship contest I knew that I had to enter! I put on my recipe creating hat (a cook’s thinking cap) and came up with an entry that I thought could have a chance at winning the prize. My creation was an olive-centered main dish of black olive crusted salmon served with green olive cous cous. I had a ridiculously good time getting back into the (newly renovated) kitchen and coming up with a dish featuring one of my all-time favorite foods. Incredibly, my dish was the winner of the Lindsay Olives scholarship for the Eat Write Retreat Conference! Thanks to Lindsay Olives I enjoyed a weekend of learning, eating, networking and fun with fellow bloggers, sponsors, and experts. They covered the conference registration fee and I found a reasonable enough flight that the hubby and the little guy came down for the fun! The goody bag came with a baby! There are a lot of great recaps that take you through the weekend session by session. I’ll link to them at the end of the post. You can see that for every person that attended, the takeaways were each a little different. For my post I want to focus on a few of my big takeaways from the conference. What they really boil down to is that you are in charge of where you want your blog to take you! There is money to be made, "fame" to be had, and plenty of free stuff to go around. There is also skill development. For me, I've decided that my blog is a place for me to grow as a writer, cook, photographer, and to explore my love for all things food related. Good Cook Doris started out as a way to document our daily dinners and share them with family and friends. Then it expanded to include reviews of meals, markets, and products. It led me to graduate school for a degree in Gastronomy. Now it is a place to continue to share my love of food from a variety of perspectives - cooking, eating, food culture, and the business of food. Once you know what success means to you then its time to sit down and create a plan. 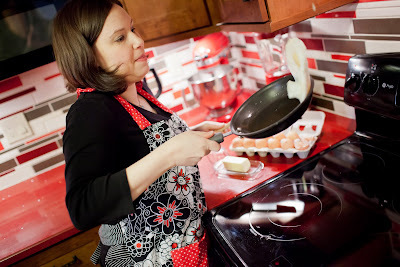 Researching, recipe planning, shopping, cooking, photographing - it all takes time. It is important to decide what matters to you and how much time you are willing to devote to doing it. For me, that means fewer posts on more relevant topics. It isn't feasible for me to post every meal that I cook. But as you'll read in my last takeaway I'll be posting with a more focused approach. And soon it will include posting homemade food for the littlest member of the Good Cook Doris team - although it might be a while before we can get him to give a full review! Takeaway #3: Surprises and Adventures can be found everywhere! This is my favorite part of blogging! I love the discovery of new ingredients, new recipes, new techniques, new restaurants, and most importantly new friends. Even in the most unlikely of places there are adventures to be had! Think you're going to a blogger conference to Eat, Write, and Retreat? 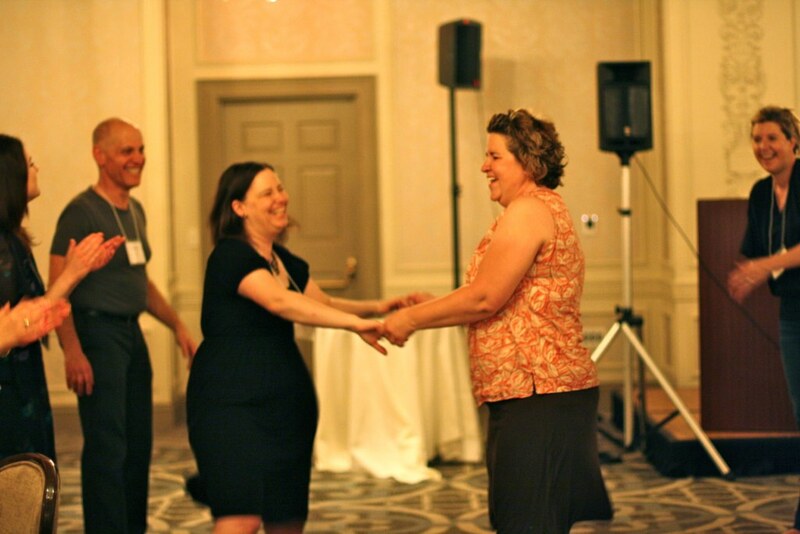 You might find yourself square dancing across a ballroom! In our Saturday writing workshop, Monica Bhide challenged each attendee to come up with one word that described ourselves - that drove our blog - our activities. Just one word. I kept tossing around words and the one word that kept reappearing was connection. I could not articulate the reasons why and left the session with a blank slate. After reflecting over the past month (yikes - where did the time go!) this is the word I have committed to paper. For me the connections happen in many ways. My blog is a way to connect with friends and family. It is a way to connect tradition with today through old recipes with new twists. Some posts are connections with local food producers and markets. When I look back at my favorite posts that I’ve created they always focus on connection. As I move forward into the next phase of Good Cook Doris I'll keep these lessons posted on my bulletin board to guide me along the delicious path of food blogging. Thank you again to Lindsey Olives for sending me for a weekend of reflection, relaxation, and recharging. I am excited to return with a more clearly defined focus and a wealth of new ideas! Tell me, what word would you use to describe my blog? If you are a blogger, what would your word be? Everyone took away a little something different!